Words can’t express how much I adore the scent of Mylee Apricot Nail & Cuticle Oil. It is absolutely phenomenal! I am in love. Unfortunately, Mylee Apricot Nail & Cuticle Oil is not a perfume or home fragrance oil. 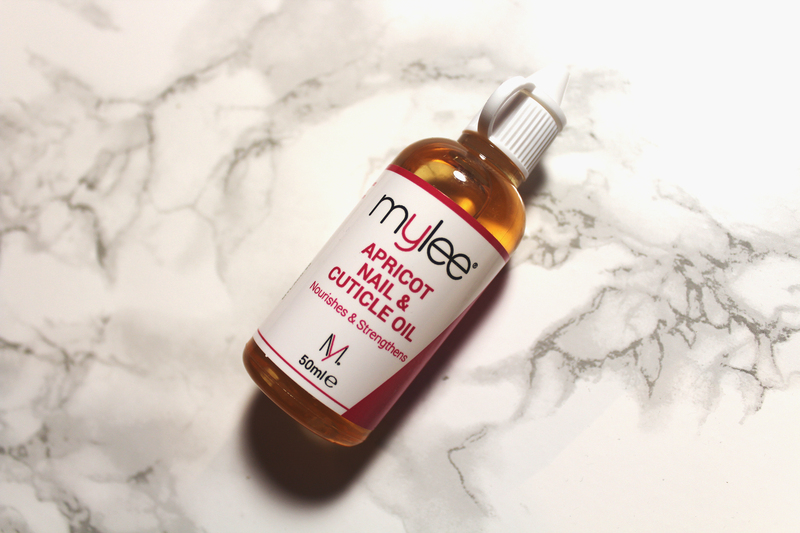 Mylee Apricot Nail & Cuticle Oil is a nail treatment so whilst I appreciate the divine scent, it is the performance of Mylee Apricot Nail & Cuticle Oil up for review. 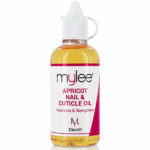 Mylee Apricot Nail & Cuticle Oil is “a deeply nourishing cuticle oil” formulated with apricot oil. The use of apricot oil is no surprise as apricot oil is rich in vitamin A and vitamin E. It has also become synonymous with quality nail care. A stellar example is the legendary Essie Apricot Cuticle Oil. I guess you could call this an affordable dupe as Essie Apricot Cuticle Oil generally retails at £8.99 (for 13.5ml) whilst Mylee Apricot Nail & Cuticle Oil was £4.49 (for 50ml) when I purchased it from Amazon. According to the brand, a drop of Mylee Apricot Nail & Cuticle Oil will replenish as well as strengthen nails, revitalising dry cuticles. I am on the fence. 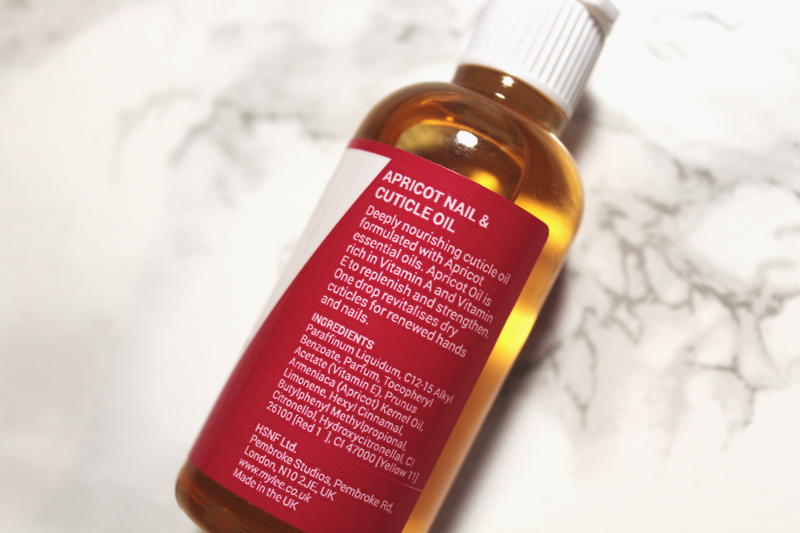 Mylee Apricot Nail & Cuticle Oil most definitely strengthened my nails and the results were relatively immediate, seen the following day after application. However, my nails are far from replenished. I feel this nail treatment simply strengthens without penetrating. My nails are stronger but still dry and prone to flaking. I don’t know how to explain it but my cuticles don’t look too revitalised either. I also noticed, Mylee Apricot Nail & Cuticle Oil only works with a few nail polishes; it seems to accelerate chipping. However, I am impressed with the oil’s strengthening ability. 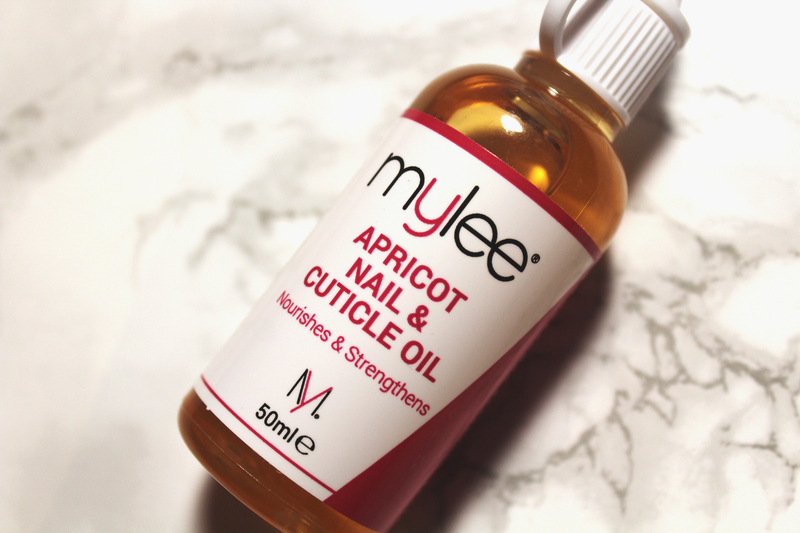 If you are looking to strengthen your nails, I can only recommend Mylee Apricot Nail & Cuticle Oil.